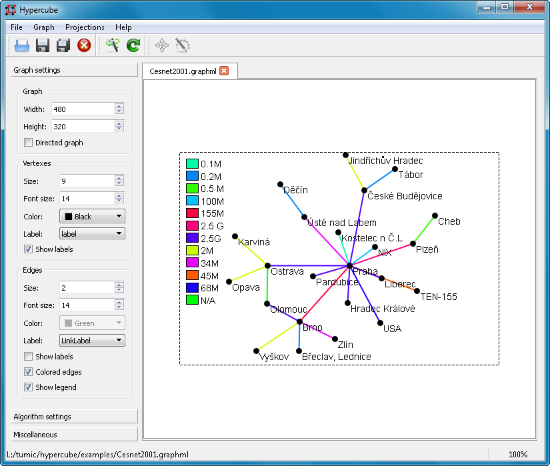 Hypercube features a Qt based GUI tool for visualizing simple text based graph (graph theory) representations as SVG and EPS images as well as a Qt independent command line tool. 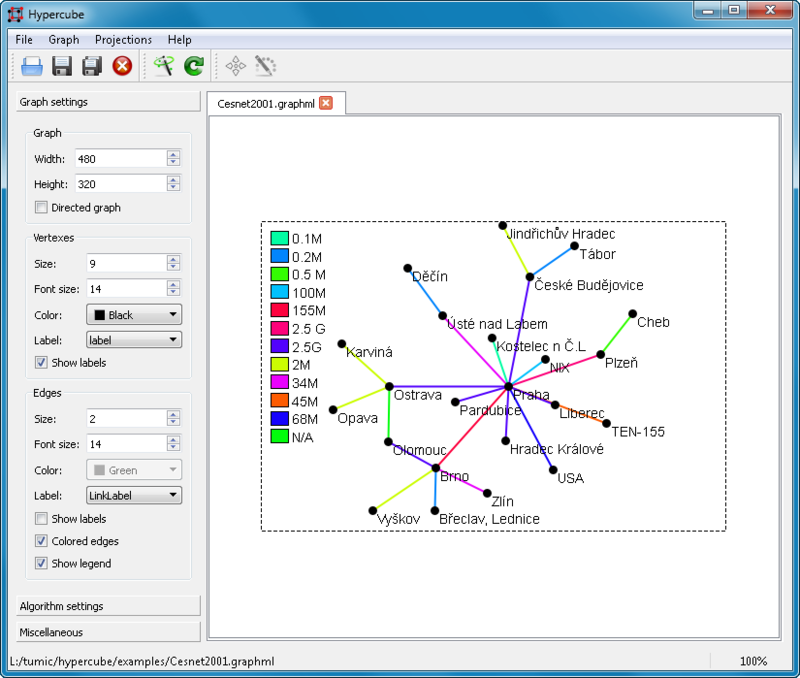 Hypercube uses a simulated annealing algorithm to lay out the graph that can be easy parametrized to achieve the desired look. Main goals in development are portability and easy usage rather than high performance and complexity. The command line tool does not require any other libraries than the standard C++ library and the GUI tool uses "pure" Qt. Native GUI for Windows, Mac OS X and Linux. Industry standard input formats (DOT, GML, GraphML, GXL) as well as simple line based text files. High quality vector output to SVG and Postscript. Unicode (UCS2) capable core. Support for UTF-8 encoded input files as well as various Latin, Cyrilic and Greek 8-bit encodings. Easy graph look setting in WYSIWYG mode. Manual layout fine-tuning possible. Extensible with modules providing support for additional input/output formats. See the exported manual page for details. Hypercube has a project page at Github. For feature requests/bug reports please use the issue tracker.